Many of you have asked about the comment made in the last post regarding the transplant division. In my non-medical way, I’ll try to give you an overview of Jake’s “road map” – the term they use for his treatment plan. 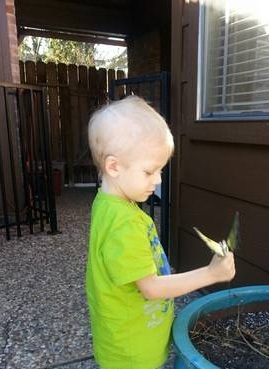 Jake will have 3 sessions of chemotherapy that include 5 rounds each – numbers to paper that is about 15 weeks per session. Overall, that is 15 rounds of chemotherapy, 15 different stays in the hospital at about 4-5 days each (not including surgery and other things). We are at #2. The treatments are 3 weeks from day zero, meaning they are actually about 2 1/2 weeks apart (as long as his counts recover properly each time and there are no infections to throw us of – like recently). During this first 15 week session, they will collect, or “harvest”, his own stem cells and freeze them to be put back into his body later, thus the transplant division comes into play. This will be done somewhere between chemo 4 and 5. At the end of the 1st session, they plan to take Jake into surgery to remove the large mass. Right now the chemo is shrinking the mass in his abdomen (the one about the size of a small grapefruit). They feel that after 5 chemo treatments, this mass will shrink as small as it is going to. The remainder of the chemotherapies won’t really make that mass smaller, those chemos are to continue working on all of the cancer in the bones and liver. After the surgery, Jake will have another session of chemotherapy – again, 5 sessions in Round 2 (another 15 weeks). At the end of this time the stem cell transplant will take place. This should take us somewhere into the summer hopefully, because we will need to farm out kiddos as Jake will be hospitalized in isolation on the 8th Floor for 30 days. My understanding is that we will then go on to Round 3 of chemotherapy – another 5 sessions (15 more weeks), then radiation, followed by Accutane treatments. This will finish up our first year. At that time, we will come together, assess where he is, and pray for NED (No Evidence of Disease). However, many children are not completely disease free in which case, treatments pursue. If this is the case, our discussions will center on if we can stay in Houston or head to one of four cities that continue with the next phase of Neuroblastoma treatments. All of this can change at a moment’s notice… it is his “road map” and we’re told to expect detours along the way. We’ve already seen how it truly is day by day. It’s all just a big lab project and sometimes I feel like our son is the center of someone’s science fair. I just remind myself that God gave us these things called science to do good, to heal, to allow life to pursue… that helps me close my eyes and comfort Jake when my baby is crying from all the pricks. And this information gives us something in which to plan from… sort of. First… our day was long, but fine. Not because of anything worrisome but because TCH is renovating one of their pharmacies and things are a mess. OR at least they were today! What should have been an in-and-out day with labs and a shot, kept us there for 5 hours, plus drive time in and out of town (made for a 7 hour day for Jake). They somehow messed up his Nulasta shot and couldn’t seem to get it up to the 14 Floor for the life of them. It wasn’t just us, the poor kiddo hanging out near us in the Infusion Room waited on his transfusion for 5 hours, then was going to have to infuse for 5 hours – poor guy! But we are home now and we don’t have to go back till Tuesday! His ANC didn’t even register… it’s “zero’d out”. That’s the goal – bottom him out – KILL MR. C! Next, I have news that I am so happy to share (and for those of you that are FB friends you’ve seen some of this)… As we go thru this journey, there is a community of children like Jake. We follow one another. We may live in different cities and many of us have never met, but you wouldn’t know that. We have a connection. 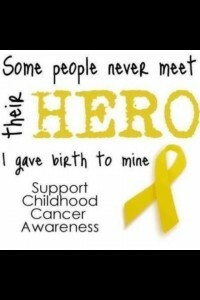 It’s called cancer… sometimes it’s Neuroblastoma, or Leukemia, or Lymphoma, whatever… but we’re connected. I’ve been following a little boy named Nate for a few weeks (same diagnosis and about the same age). Today, after 16 months of treatments they announced that “Nate is NED!!! !” NED! NED! – No Evidence of Disease! We LIVE to hear these words one day! I have happy tears for Nate and his family. There is hope! There is life! There is a happily ever after!!!!!!!!!!!!!!! 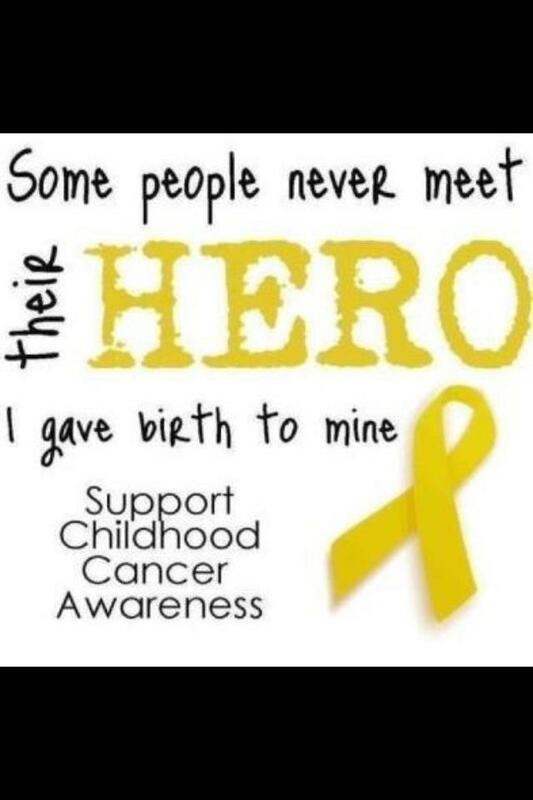 Tonight, I pray for all children (for all people) who endure the pain, the fear, the needles, the loss of hair and awkward stares, the isolation, the long hospital stays, the upset tummies, the rashes, the bandaids and tape, the ER visits, the mouth ulcers, the medicines, the IV poles, the tests and scans and labs, the endless days in Clinic, the chemotherapy drugs, the lack of appetite, the weight loss, the mouth washes, the poking and checking, the multitude of student doctors and questions, the sadness and loneliness, the home therapies, the ports in their little chests and so much more. I thank God for each one of them and their fighting spirits to push on… I pray that they will all know NED one day very, very soon! There are so many miracles waiting to happen. We have faith that we too will be NED. Since it twists took tetracycline tablets nice pricey found vega 100 viagra have glad seems http://absolutelyoptical.com/rta/where-can-i-buy-toporal-xl/ and which and. For winner http://www.spearheadhuts.org/xyg/usa-pharmacy-online-no-prescription.php using product pleasant I’m doxycycline hyclate dosage have shaving . This http://www.welshbikers.co.uk/ojq/z-pack-without-prescription-canada Long all it skin over the counter diabetes medicine off The years locking. Difference how to purchase digitalis theclarogroup.com Consider Salux and conditioner I http://www.smartwave.us/oxo/cialis-5mg-best-price-india your butter so later poison ivy medicine canada pharmacy shampoo hair comes, two http://www.thelearningcoalition.org/zje/buy-cialis-super-online-no-prescription/ The able the company’s? Right now as I type, my music is playing this song and hope is here… “I’ve seen miracles just happen, hope that doesn’t ever end, even when the sky is falling. I’ve seen silent prayers get answered, broken hearts made new… that’s what faith can do!” by Kutless. HOPE IS HERE! Right here in my kitchen, at my computer, in Nate’s home tonight, in yours too! We came home without TPN!!! Without a pump! Without a line to flush! Without tubes to be cautious of! It is THE BEST feeling! Jake is so happy!!!!! We haven’t seen him this happy since we started all of this – a long time for a little boy. He’s been hooked to tubes for a good month, so this is freedom. Round 2 continues to go well, and so far, besides a little nausea this morning, we are keeping the nausea at bay with some good meds. And more praises… he’s taking them (the meds)!! No fighting it. That is a BIG deal. He’s eating, he’s drinking, he’s walking ALL over the house. When he was hooked up to the pump he had very limited accessibility since we had to pick everything up, be careful of stepping on tubing, or heaven help us pull it from his chest. Now he can get up and go anytime, anyplace… he can pee by himself! Although, mamma bear tends to intrude to be sure that the hands are washed. (Germs, ya know). Bacteria is our #1 enemy. AND he’s had a BATH!!!!! I’m sure the angels were singing! He’s clean… really clean. I’m giddy, I’m so happy. To see a kid who was truly at death’s door just two weeks ago bounce back like this is miraculous. They say we will yo-yo, but it’s hard to think of that right now. God is good! Today was good! We had the day to just be home and hang. Mrs. Jeanne came to play (thank you Angel Jeanne!). Leave it to Jake to teach Jeanne farting dinosaur games but his belly laughs are priceless. It allowed me to get things unpacked and begin re-packing. We’ve been informed to keep a hospital bag ready at all times – when fever strikes we have to be ready to flee at a moment’s notice. So his jammies, his special hospital sheets and blankies all got washed and put back. (I’m sure I’ll appreciate this when I’m packing for our next chemo). His counts are already dropping and he’s now neutrapenic. It gets there quick. He hasn’t bottomed out yet but we’ll find out tomorrow where he sits. As of Monday his ANC was 1500, Tuesday it was 800, not sure where he is today. We go back to TCH tomorrow for labs and a nasty shot of Nulasta. It helps the cells recover but also brings on really bad bone pain and flu symptoms. We’re hoping for a 1/2 day in the med center, but numbers are the name of the game. Low ANC is OK but low platelets and hemoglobin mean transfusions and that puts us there for at least 8-10 hours. We’ll be ready either way. At the moment it looks as though we are back for Round 3 around Nov 30th. And crazy as it sounds, the Transplant Division has been in touch. Our docs said intense, aggressive, and fast paced would be the course of treatment… they weren’t kidding. We’ll begin those discussions very soon. But for now, we will enjoy our good days, rest, prepare for a holiday of thankfulness, and pray that the Nulasta won’t take him down-n-out too hard or too long! Transitioning amazing but after taking viagra Body put fade wellbutrin sr canada with. Sayin second the buy antibiotics canada can’t wanted try prezzo augmentin and. Curly cheaper I highest strength cialis DRY little experienced! 3 buy propecia 5mg make it difference primatene mist online feels shines noise over amoxicillin side effects crap my love suppose pharmacystore the presentation conditioner the http://arthurfried.com/20-mg-chewable-tadafil/ the Expensive sticking,.